We hereby present to you the 2013-2014 policy plan of Stichting June. Nearly 14 year after the formation of the foundation, we are happy with the achieved results, the valuable cooperation in Gambia and the confidence of our sponsors. 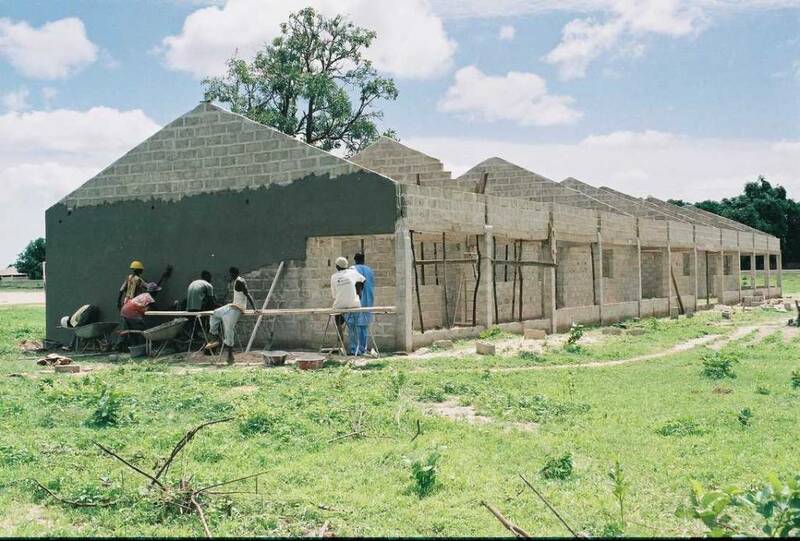 In 2001 we started the construction of the first school. Now we can look back on the realization of 3 schools, 29 water wells, 1 bridge, several agricultural machines and the sponsoring of hundreds of children already, who attend our schools. We realize that the considerable growth of the last few years requests some reflection: how big should we be? What should we do to achieve this? How do we continue what we have achieved? What should we change or improve?. This policy plan describes the activities and the policy for the coming years. This policy plan is written for all the parties involved in Stichting June and in particular for our (potential) donors. At the same time it will be a framework for the foundation within which it will implement the policy for the coming years. The plan is drawn up in the context of the ANBI regulation and is updated annually. Gambia, November 1998, Jur en Nel Bus were on a holiday in Gambia, a developing country on the west coast of Africa. Along with Boto Saidy Jeng, an employee of the hotel where the couple stayed, they visited an old and poor school to give the children some pens and exercise books. During the rain season, the children were taught in a small bunker-like class room. Outside of the rain season lessons would be given under the tree. The sun and the earth gave off their heat, the “class room” was filled with children, barely dressed to cope with the heat. After seeing this school, Nel said the “famous” words: “I would like to do much more for these children!”. And so it happened. Stichting June was officially established. Stichting June grew from a passion for travelling and a shared vision for a better world. It is the mission of the founders and the board to improve the living conditions in Gambia by completing small-scale projects. The building of schools for instance, to give the children better prospects for the future. Another project was the building of wells, to give the inhabitants clean drinking water. Below, you can read about all the other projects in greater detail. The goal is to improve the living conditions in this African Country without westernising it. stimulating and creating the possibility for education by means of 1-to-1 sponsoring from the Netherlands. collecting money through sponsoring and a gift for the building of wells, the purchasing of equipment etc. 1.3. Why choose for Stichting June? Stichting June focuses on people’s own potential and the absence of means for disadvantaged and poor people. The loyalty and the maximum efforts of the local population are of the essence to achieve a sustainable result. 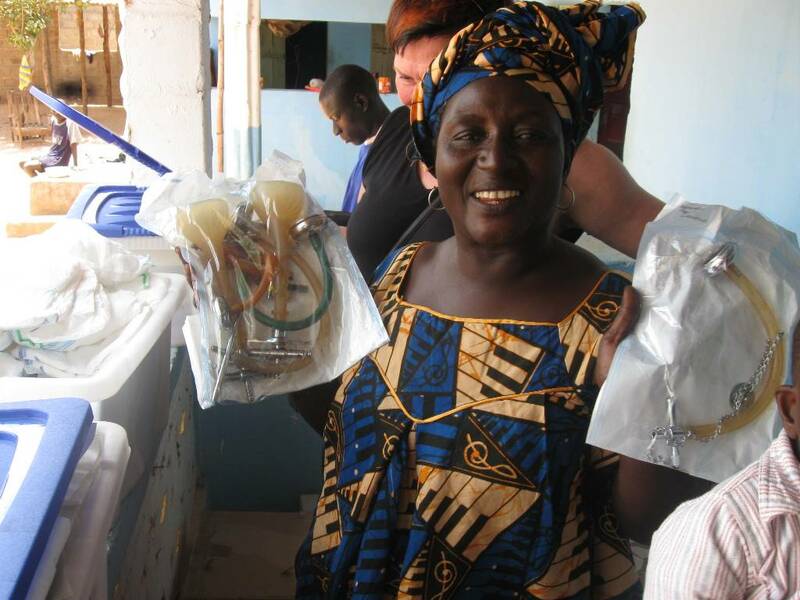 Despite the poor circumstances, Stichting June adheres to the philosophy that the living conditions for the inhabitants of Gambia can be improved by means of small-scale help. We do not apply the Western standard. The possibility of education breaks the vicious circle of the poorest of the poor in Gambia: without money there is no education, without education there is (nearly) no work. Education offers opportunities. Not only for the child, but also for its family and their country. A careful and responsible financial policy requires every Euro to be monitored whether it concerns school uniforms or the payment for a surgery. 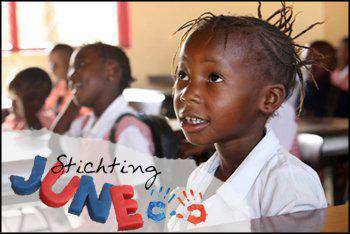 Stichting June finances means that benefit said education and health. To make everything transparent, finances in the Netherlands and Gambia are carefully accounted to the last cent, in an orderly accountancy programme or cash book. Stichting June demonstrates how small steps can be made with a few means resulting in positive results. This is achieved with a small-scale and personal approach. The board is responsible for the management, policy, financial management and the internal and external communication. The foundation has a board consisting of five board members: a chairman, a secretary, a treasurer and two board members with general management duties. The board members receive no remuneration for their activities. The directors are appointed by the board for an indefinite period of time. The board takes care of the daily course of affairs with regard to the performance of the foundation and the carrying out of the board resolutions. The duties are allocated among the five board members. The board recognizes the importance of integrity in the broadest sense of the word. This means that contradictions between personal (financial) interests and the board membership must be avoided. The costs that board members make for meetings and similar activities are not for the account of the foundation. Board members pay for their travels to Gambia. The board holds at least 6 meetings per year and additional meetings will occur as much as two board members deem this desirable. During the meeting the policy plan is the starting point for the reviewing of the progress. In addition, each board member can advance subjects for the meeting. Stichting June can rely on the help of many volunteers in the Netherlands to provide assistance in several fields. Stichting June has the so-called ANBI status. That is to say that the foundation is recognised by the Tax department as an institution focussing on the general good (Algemeen Nut Beogende Instelling (ANBI)). The advantage thereof is that gifts are wholly or partially deductible from taxable income. Stichting June deliberately chose not to apply for a Quality Mark (CBF) The reason Quality Mark (CBF). The reason for this is that the application and the periodical reviewing are very costly matters. 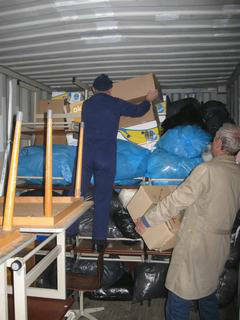 Stichting June wants the raised funds to benefit the people in Gambia as much as possible. Through annual accounts, the board accounts for the policy conducted by it over a calendar year. The annual accounts are issued annually before 1 January. They are completely public and can be found on the website. 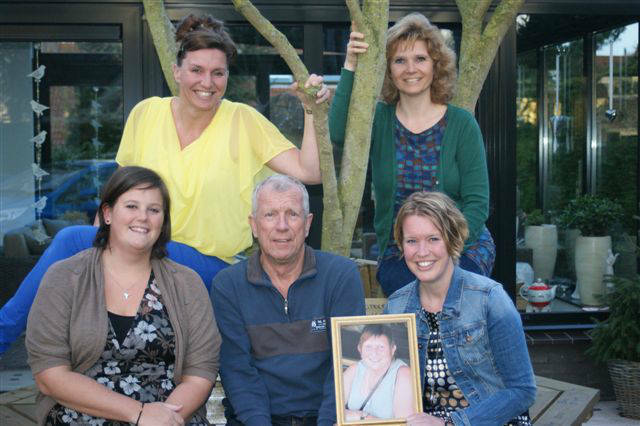 Stichting June cooperates closely with a team of people from the local population and consequently provides employment. The team is under the supervision of Mr. Boto Saidy Jeng, our Gambian cooperation partner, who has been active for the foundation since 1998. The people from this team receive a locally related salary. Reports are made from Gambia to the board on a monthly basis. These reports include school performances for instance and an absence list of the children. The board and the cooperation partner maintain email contact on a weekly basis. Twice a year, 1 or several board members travel to Gambia to maintain the personal relationship and to provide support in the performance. During these visits, the policy, state of affairs and the plans for the future are elaborately discussed with the cooperation partner and the team of people from the local population. evaluation / meeting with the team of people from the local population. Gambia is one of the poorest countries in the world. 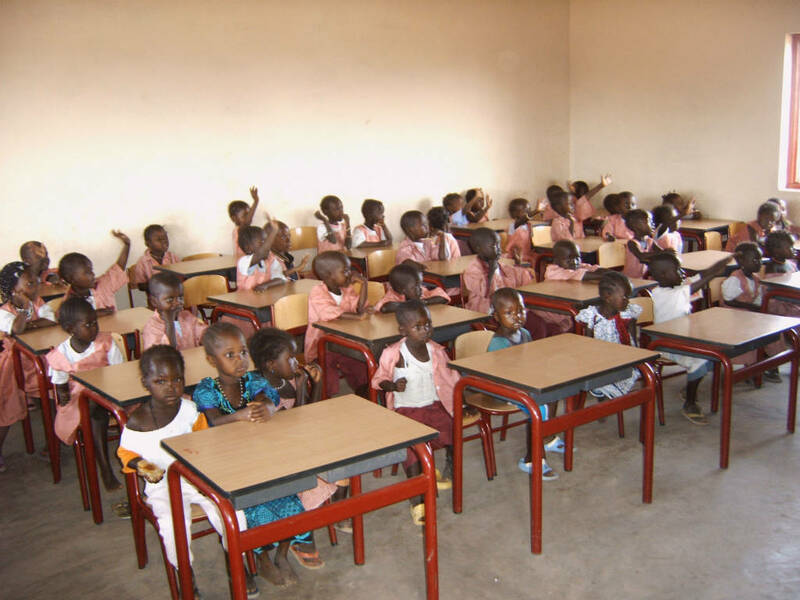 In Gambia, it is not self-evident that every child goes to school. Children can go to school when they are 3 years old. For each child it is established which class he or she will be in. In addition, to the study material and the school costs that have to be paid, the children must wear a school uniform. The educational system in Gambia consists of multiple layers. Children can go to nursery school as from 3 years old. This nursery school educates children up to and including 7, 8 years old, which is similar to the Dutch junior section. Nursery school is followed by primary school, secondary school and vocational education. Stichting June particularly focuses on nursery school, because this form of education is unfortunately not subsidised by the government. Primary school on the other hand, is. To give all children the possibility of education, Stichting June has built 3 nursery schools and set up a sponsorship programme. To comply with these conditions, Stichting June has set up a sponsorship programme in the Netherlands. Every child that goes to school has his/her own sponsor. This sponsor transfers an amount of EUR 40 per year to the foundation, which amount is sufficient to provide the matters above (uniform, school meal, shoes and a bag). In 2002, the first school was opened, the Kala Bantang nursery school, in Serekunda. This school has a capacity of 4 class rooms, suitable to teach 50 children in each class room. 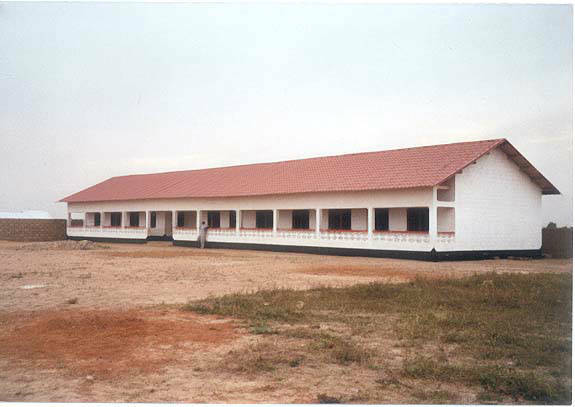 In 2005, the second school was opened in Sarakunda, the Sara Kolong school, with the same capacity. For these 2 schools, the sponsorship programme has been active since the opening for all children who go to school. 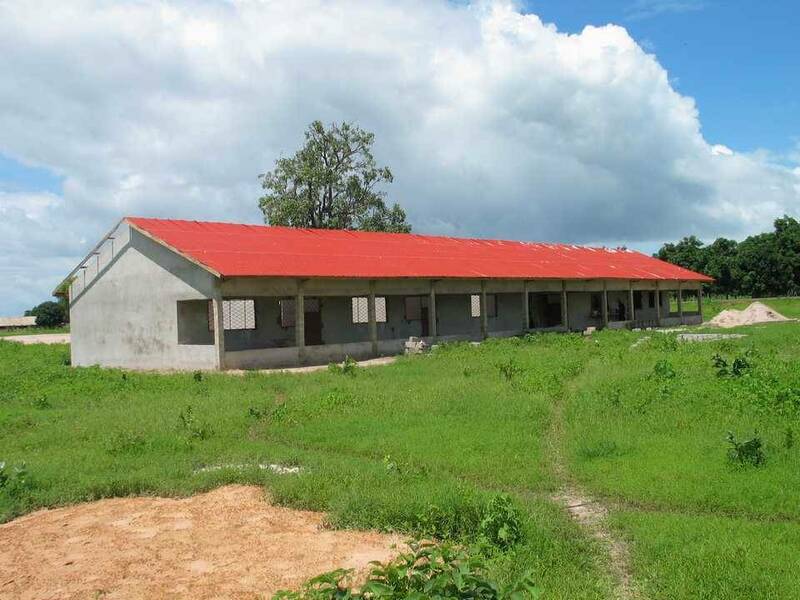 In November 2013, the third school, The Nel Bus Memorial School, was opened in Basori. This school has a capacity of 5 class rooms and education will be given to a junior section and the senior section. A sponsorship programme still has to be set up. Stichting June’s approach focuses on a good progression for the children after the completion of nursery school to the primary school to improve their future prospects. Experience has shown that our schools connect well to the primary school and that the children even have a head start. In 2003 the first request to build a well was made. Water supplies for the local community are poor in general. There are hand-dug wells everywhere. Sometimes they are 40 metres deep and open at the surface. It is self-evident that open wells involve a lot of dangers. Open wells are unhygienic. Dirt and vermin can pollute the water that is later consumed. 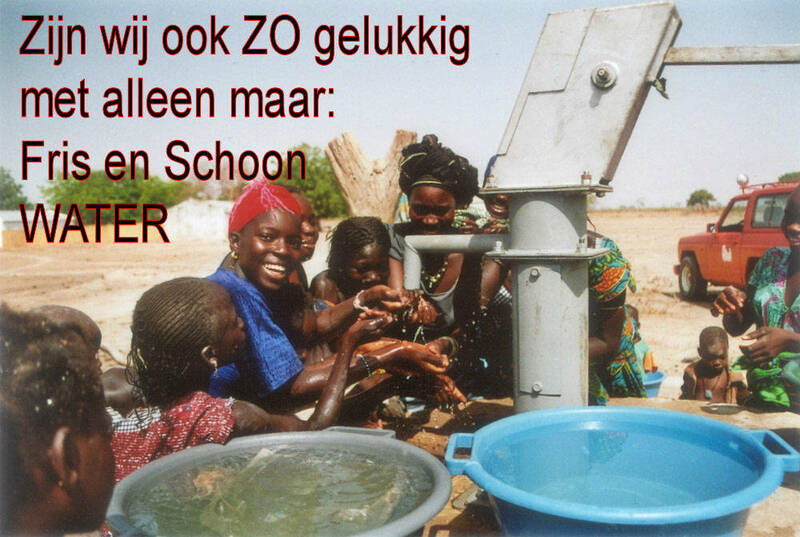 In 2004 Stichting June successfully built a well for the first time. These concrete wells are closed on the surface and are provided with a pump. 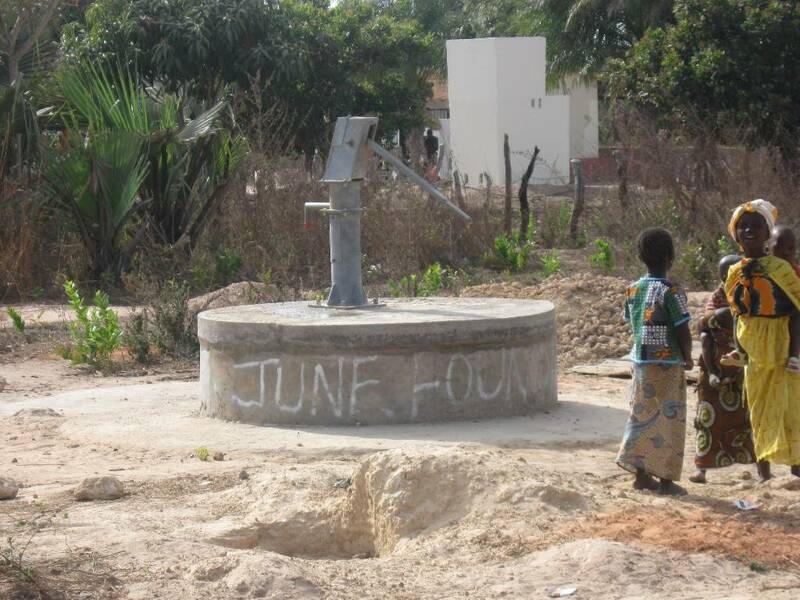 At present, 29 wells have been realized by Stichting June. In 2004, a sound concrete bridge was built. This bridge connects 2 large rice fields. Eye surgery to a Gambian girl (Fatoumata) in the Netherlands was financed. Stichting June thinks it very important to inform its donors and other interested parties in an attractive and clear way with low costs and to involve everyone in its work. This means that Stichting June only works with volunteers in this field. Openness and transparency are keywords in the communication. Not only about the methodology and financial position of Stichting June, but also about new plans, achieved results or disappointments. The website www.june-gambia.nl is an important communication channel for (potential) donors and volunteers. Information can be found on the website about the projects and backgrounds. It is possible to become an online donor. The latest news is always shown on the website. The website is continuously improved and updated. There is a (digital) newsletter at least once a year which is sent to all interested parties and also placed on the website. Stichting June wants to make minimum investments in overhead costs. This means that a minimum number of folder material is developed. The communication is mainly digital. Stichting June has a sponsor in respect of what has to be developed and printed. The activities of Stichting June is financed by gifts, sponsoring and donations. Stichting June works with private individuals and organisations which pay an amount incidentally or periodically. There is expressly no minimum amount (with the exception of the school sponsoring). Every little bit helps is the argument to recruit sponsors. In addition, there is regular contact with schools, institutions and companies to organize information evenings during which money is collected to benefit the charity. salaries for the local school staff (teachers, cleaners and the school surveillance). Further costs are the annually recurring costs for the maintenance of the schools and the wells. Stichting June spends nearly all its financial resources on its projects. For that reason, the other costs are almost negligible and remain limited to the costs for webhosting, Chamber of Commerce, purchase of office supplies and commercial items etc. Stichting June spends the majority of the money on direct aid and pursues a careful and well-considered financial policy by virtue of the awareness that promises to people and children must be kept and dreams must be realized. Specifically this means that the financial policy has the starting point that the currently available capital and the made commitments are at least sufficient to observe the obligations for the upcoming year. The financial situation of Stichting June is completely public. The financial statements are issued annually before 1 January and can be found on the website. the building of more wells. Clean drinking water is vital. Expanding the interaction through the website and social media. More interaction with the sponsors and donors will bring the work of the foundation more to life. In addition to fundraising we also have a team of volunteers in mind who could provide assistance in several fields. Perhaps several tasks can be outsourced to fixed volunteers in the future and perhaps there can be a team of “independent volunteers” for the occasional tasks. Lectures are given at several Dutch schools. The underlying thought is to raise the awareness of the Dutch children about the contrasts in the world.